Lesley paints in oils with a classical approach to composition, color and value, but with an approach that is fresh and contemporary. She paints to re-create her visual experience. Lesley eliminates unnecessary details to get at the heart of the matter. She often suggests, rather than fully describes, parts of the painting, so that the viewer’s imagination is involved in completing the painting. 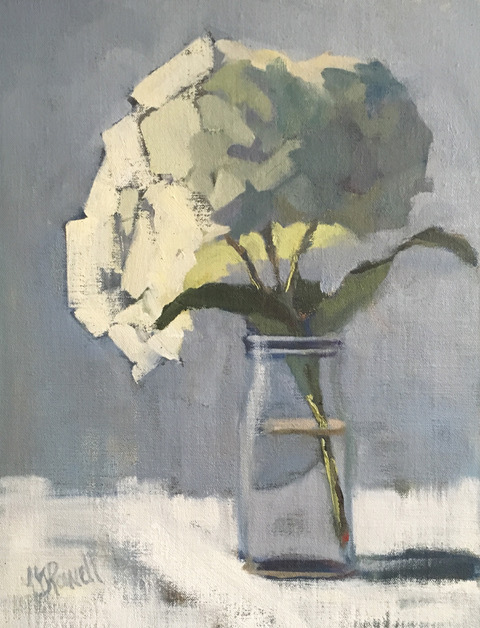 As a perceptual painter, Lesley prefers to paint from life. She likes to work outside on location, or to set up still life compositions in her studio. Painting from life enables her to discern color more truly, and to capture the patterns of light and shadow that animate the subject. Lesley notes that being present with the subject brings all of senses—smell, touch, hearing—into the painting process. Lesley often completes small plein air studies to bring home to her studio. The plein air studies, together with reference notes and photos taken on location, are tools that help her create dynamic larger works. She uses these tools to preserve the freshness and liveliness of her field sketches in her large paintings. 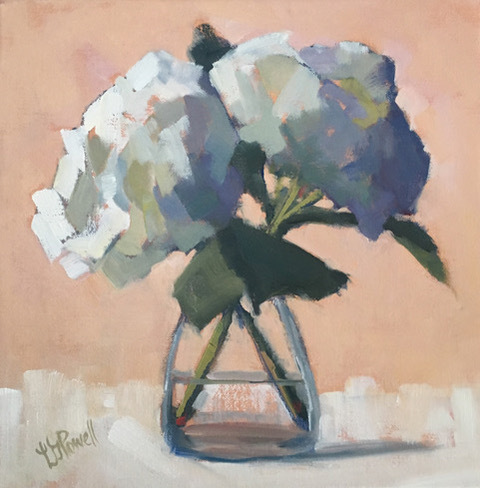 Lesley has participated in workshops with plein air painting master Kevin Macpherson in his native New Mexico, as well as with California plein air artists Peggi Kroll Roberts and the late Ken Auster. On a local level, she has studied with Andy Braitman at the Braitman Studio in Charlotte. 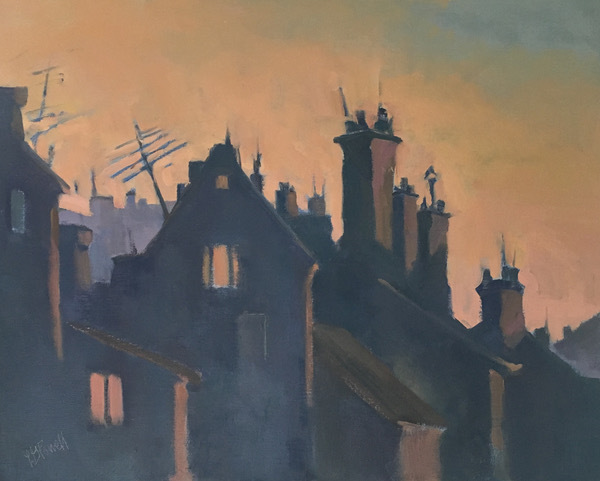 Most recently, Lesley has undertaken extensive studies with the internationally noted artist Maggie Siner, both in the US and in France. Away from the easel, Lesley serves on the Board of Arts for Life, a nonprofit group that takes the power of art to children who are hospitalized across North Carolina with serious illnesses. In a prior life, she practiced corporate law with a large law firm.